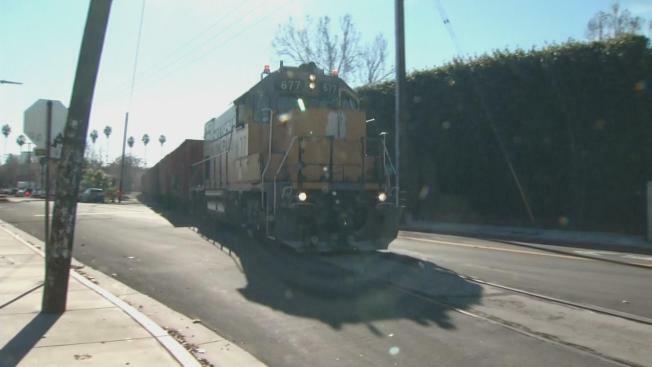 Several train route changes have left some residents in San Jose up in arms. Some homeowners in the city's Japantown neighborhood said it was a scary experience because they are not used to trains rumbling through in the middle of the night. "And it comes through with a vengeance," resident Sketch Salazar said. "It was absurd. It was a little after midnight I'd say." Councilman Raul Peralez's office have been flooded with complaints. Peralez, along with Congresswoman Zoe Lofgren, contacted Union Pacific Railroad and were told rerouting took place because of work being done on the Amtrak Capital Corridor project in Santa Clara and Alviso. The commuter schedule meant the trains had to bring equipment in by night, and federal law requires warning horns at intersections. Peralez said they told Union Pacific from now it needs to do more community alerts all along the line and not just near the project sites. "They did zero outreach in areas like Japantown, where they're going to be blaring these horns having to cut through," Peralez said. Union Pacific said it did look into trying alternative run times, but could not. However, Union Pacific said it expect the corridor project to be finished by Dec. 23. For now, residents will have to deal with the disruption until at least Friday. "It's a rude awakening, literally, when it happens," Salazar said.